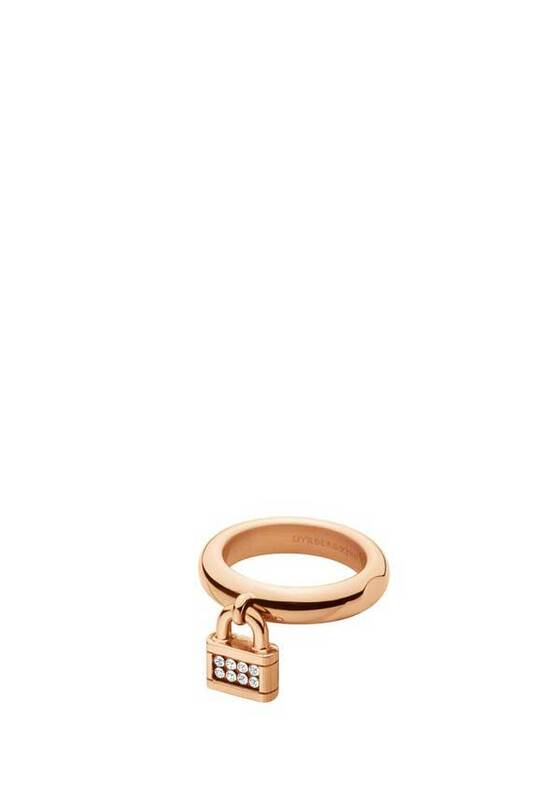 A chunky rose gold plated band, with a crystal encrusted padlock, dangling from it. A lovely dress ring, it’s great for that special occasion. Matching bracelet available, to complete this trendy look!